Snow, Snow and more Snow! This winter is beautiful here in Utah and the snow just keeps piling up. I love the snow and I really wanted to get some bride and groom photos in the white stuff! 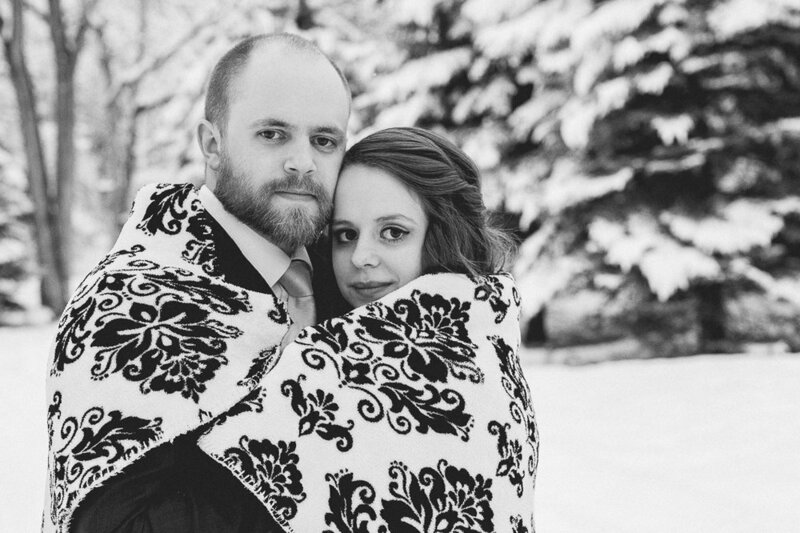 This darling couple agreed to trudge through about a foot of new snow and let me photograph them. It was cold and beautiful at Beus Pond in Ogden. We walked the path, which had not been cleared at all and we even took our chances off trail a bit, following what I thought was a man-made trail but turned out to be a deer trail. We found some curious deer keeping an eye on us but they didn't stick around to see what we were doing. Kelsea and Mike are adorable. I watched these two as they interacted with each other. He was so concerned and caring for her, making sure we could keep her warm as possible between shots. He never complained about his cold feet. She would just look adoringly at him and smile and laugh at the cute things he was whispering in her ear. Love stories make me smile and make me love what I do even more! Thank you Kelsea and Mike for spending the time with me. I hope you love these photos as much as I do!